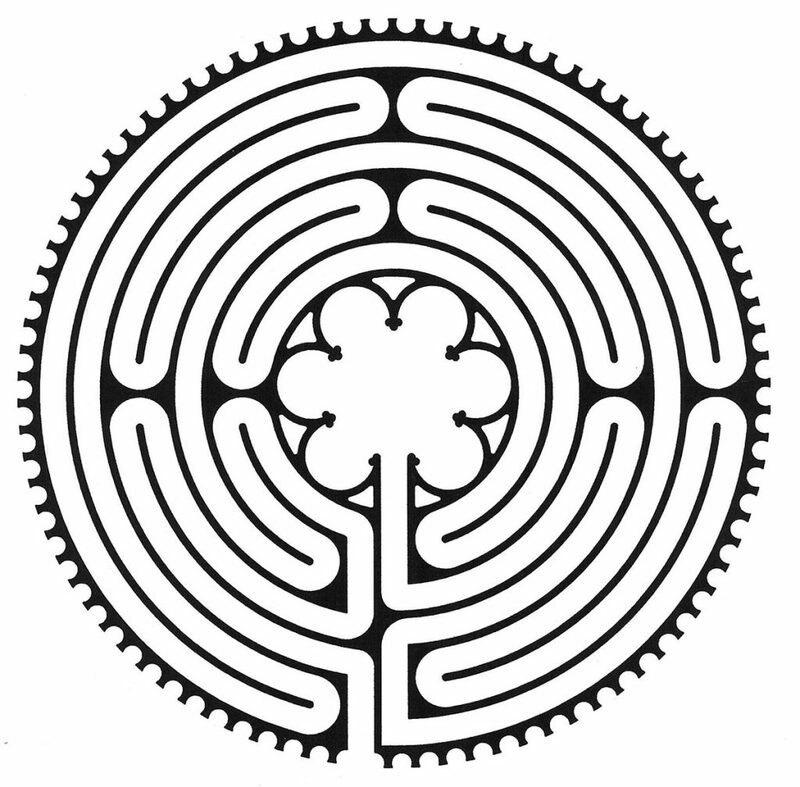 The labyrinth is a symbol of pilgrimage. It is a walking meditation, a path of prayer and an archetypal blueprint where psyche meets Spirit. It has only one path that leads from the outer edge in a circuitous way to the center, and back again.There are no tricks to it and no dead ends. Unlike a maze where you can lose your way, the labyrinth is a spiritual tool that can help you find your way. 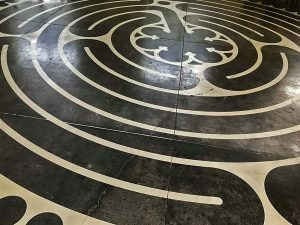 The labyrinth on our sanctuary floor is based on the eleven-circuit labyrinth that was inlaid into the floor of Chartres Cathedral in the year 1201. We offer use of this spiritual practice to our neighbors, knowing that in the busy, often chaotic, world we live in, times for quiet reflection are rare. To prepare, you may want to sit quietly to reflect before walking the labyrinth. Some people come with questions, others just to slow down and take time out from a busy life. Some come to find strength to take the next step. Many come during times of grief and loss. Our labyrinth is staffed and open to the public on the second Sunday of each month from 1:00 p.m. to 4:00 p.m. (check in Events).